How to build a knee wall storage dresser | DIY projects for everyone! Are you in need of more storage but don’t have the space for an additional piece of furniture? Perhaps a knee wall dresser is the answer! It won’t eat up any of your floor space as you will be taking advantage of an awkward wall space that normally don’t get much use anyway. Building a knee wall dresser is a great way of making use of these awkward areas in your house when you’re looking for extra storage space. You just recess the dresser into a knee wall of a room and voila! – you have a full-sized storage space! Now some of you might be wondering what a knee wall is. Well it’s the low and short wall located beneath roof rafters, usually found in attics or top floor rooms. It is typically framed with 4 feet tall 2×4’s and are simply covered with dry wall material. One thing to take note of however, is that they’re usually not load-bearing sections of the house. So if you would like to build a knee wall storage dresser, make sure to consult an engineer or licensed contractor first. Not every house has a knee wall, but if you’ve got this awkward space in your home then you can take advantage of it with this DIY storage idea! 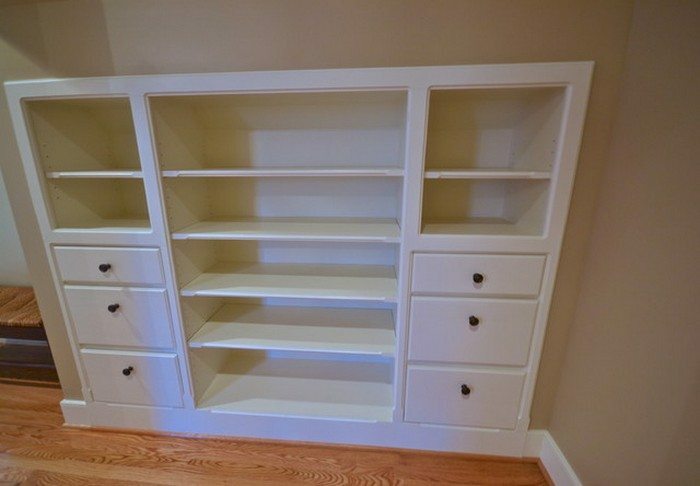 Do you have a knee wall at home that you could turn into a valuable storage space? Previous articleBuild your own convertible picnic table bench! You could do it to a bedroom wall with bedrooms on either side. One two sided dresser for both rooms!! !